FORT WAYNE, Ind. 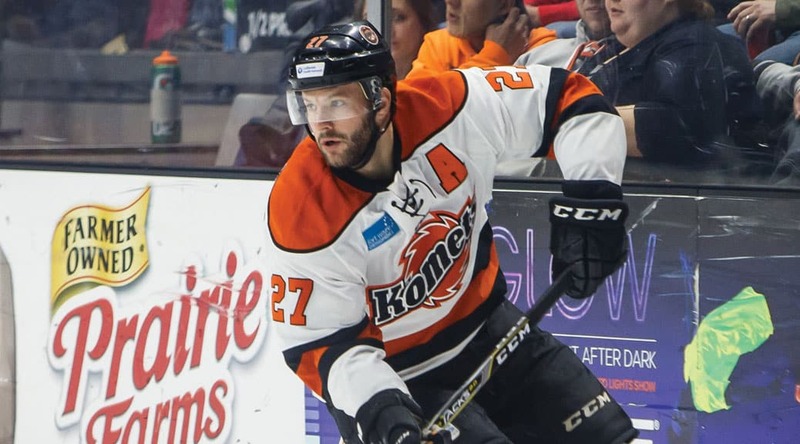 (WOWO): The Fort Wayne Komets have regained their leading scorer from last season. Shawn Szydlowski returned to the team Monday after a brief stint in Europe. The 28-year-old will be playing his sixth season for the Komets as they start a five-game road trip with a three-game series against Rapid City in South Dakota on Wednesday. Last season, Szydlowski was named the team MVP after he had 21 goals and 48 assists with a career-high 79 points, which led to him claiming the ECHL’s scoring title. His reason for leaving Norway is undefined, with Szydlowski only saying he had “personal reasons” for doing so. In other roster moves, the team has traded forward Garret Ross to the South Carolina Stingrays for forward Jake Kamrass, and traded the rights to forward Thomas Ebbing to the Greenville Swamp Rabbits for future considerations.